After six months of operation, the presidential working group on confronting the totalitarian past is making more progress than its founders had hoped. Much to the surprise of many involved in its creation, Russia’s program to remember the victims of communism has made significant progress since its founding on Feb. 1. While the creation of the program has sparked many debates, it is just these discussions that show how relevant the program is to Russian society. Even if some of the critics of our program seem less than principled in their arguments, we are thankful to them for bringing the discussion into the public sphere. 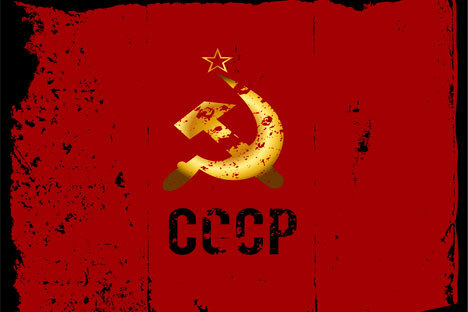 And we understand the honest criticism from the Communist Party of the Russian Federation (KPRF) and the smaller parties that see themselves as successors to the Communist Party of the Soviet Union, although like our other critics, they have nothing to say against most of the specific proposals in our program. And this criticism does not distract us, because returning to public memory the millions of people killed by the totalitarian regime is a must for restoring the nation’s self-respect and moving forward into the future. And we have many supporters who sincerely hope to learn from the past. Much to our surprise, we have learned that society wants to know the truth and wants justice. According to public opinion polls conducted by the Levada Center and the All-Russian Public Opinion Research Center (VTsIOM), 50 to 75 percent of respondents support the main ideas of our program, such as the creation of a unified electronic Book of Remembrance to record the names of the victims of the totalitarian regime, and opening the totalitarian regime’s archives. We are not looking for quick results – especially in an election year. Our program is meant to last for years to come. This is why an inter-departmental working group is being set up now to carefully and steadily build organizational and legal structures for restoring historical memory. The group will have several subgroups that will focus on specific issues. For example, one subgroup will work on the creation of a memorial museum in the Kovalyovsky Forest, near St. Petersburg; another subgroup will focus on efforts to give legal status to graves of victims of the political repression; while another will manage the Book of Remembrance. The issue of creating a memorial museum in Moscow remains open, but regardless we would like to see further development at the area around Butovo in the Moscow Region. The Russian Orthodox Church has built a magnificent church, a memorial cross and a museum at the Butovo Firing Range, where more than 20,000 people were executed. This is a good start, but it must be followed up, and the memorial complex must be given special status. On the Day of Remembrance of the Victims of Political Repression in 2007, the Russian president visited the Butovo Firing Range. This could become an annual tradition. Many of our critics have asked how we will decide which monuments to build. We believe that we must build monuments to all victims of the 20th century in Russia. Other critics have said that our country has more urgent problems to address and that nothing good will come of dredging up the past and dividing society. But the debates caused by our program have only made us even more resolved to help our society part with the horror of its totalitarian past. More than 100 years ago, Leo Tolstoy wrote: “Why annoy the people in recalling what is already past? Past? What is past? Can a severe disease be past only because we say that it is past? It does not pass away, and never will pass away, and cannot pass away as long as we do not acknowledge ourselves sick.” His words are still relevant today. Not the slightest shade of blame must rest on those Soviet people who had to live in those difficult years, who grew grain, built houses, hunted down thieves, served in the army, and composed symphonies. They lived the only possible kind of life in those inhuman times. But we must renounce the crimes of that regime. In the Orthodox Rite of Baptism, the priest asks, “Do you renounce Satan, all his works, all his angels, all his service and all his pride?” In response, the person being baptized must answer three times: “I renounce them.” Similarly, we all must renounce the totalitarian hell out loud and, most importantly, in our hearts. Sergei Karaganov is the head of the Historical Memory Working Group at the Council for the Development of Civil Society and Human Rights under the President of the Russian Federation. Mikhail Fedotov is the chairman of the Council for the Development of Civil Society and Human Rights under the President of the Russian Federation.